Indie publisher QubicGames has temporarily placed a huge discount on its action-adventure platformer Escape Doodland, promising more, similar sales in the future. 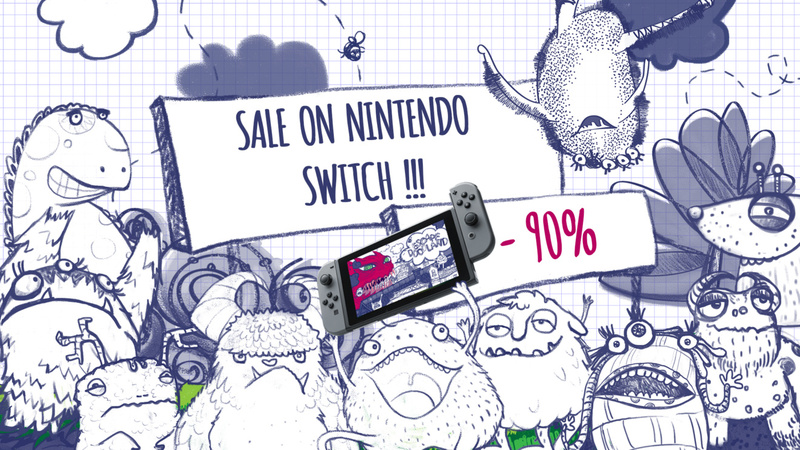 The sale takes Escape Doodland's usual $9.99 price right down to just $0.99 - if the game's premise interests you, dropping a single dollar on it seems like a no-brainer to us. The sale is, unfortunately, exclusive to the North American eShop, although players from other regions could always use a second account or temporarily change their profile's country setting to snag the offer for themselves. QubicGames tells us that another crazy 90% off deal will be taking place in just two weeks' time, although the game benefitting from that sale hasn't been revealed. The studio says that "we want to regularly give this kind of huge special offer for one of our games", so we're hopeful that this new initiative could provide us with some lovely bargains going forward. If you're interested in any of the studio's Switch games, we'd make sure to keep an eye out on their eShop listings. 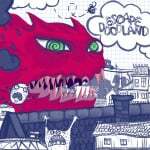 Will you be grabbing Escape Doodland for $0.99? Are you excited to see what might come next? Tell us below. Their games are always on sale, often for under AU$2, so this is hardly newsworthy. Frankly, my microSD storage is more valuable, so I'll pass. > Frankly, my microSD storage is more valuable, so I'll pass. Haha, the most damning review a game can have. I hadn't seen this game before and looking at reviews it seems to be a decent runner. I don't mind the occasional runner and this has a pretty unique and interesting artstyle so it's surely worth paying $1 for. I'll likely get it. I agree with @IHateTombs and @Silly_G I bought Bouncy Bob for a penny, and pennies aren’t even in circulation in Canada anymore. It wasn’t worth it. @IHateTombs : I've made that mistake before, and I won't do it again. Time is money too. Frankly, most of Switch's mobile/indie ports would only worth 10% of their regular price..
Too many awesome real games exist and I don't even have enough time for those. @DockEllisD Nintendo really need to do something about that. Junk like Bouncy Bob and Jumping Joe are being sold for a peanut then hanging around the top of the charts for a few days once the sale ends. Some poor folk will be purchasing them at full price just based on their chart positions. The sub $5 games should probably have their own chart. It looks ridiculous seeing games like Jumping Joe up there with the likes of Smash, BOTW and MK8D. I’ll pick this up for $1, it’s on my ridiculously long list of games I’d like to play when the price is right. I picked up One Strike on a similar sale a week or two ago, pretty fun with a friend. or not. ha. Good point about people falling for chart position..
Of QubicGames's games, I found One Strike to be decent. The rest haven't really interested me though. Not on sale in Europe it seems. @OorWullie If this site allowed single word comments I'd post the word "churnalism". I have one strike, astro bears, and robonauts and have really enjoyed them all. Got them all for extremely cheap and all are solid multilayer games. Really? Or are you the developer or publisher? My favorite game from Qubic is Mana Spark. Despite a weirdly function camera it’s a solid roguelite. I think I'd rather save the dollar. Besides, do I really want this game's icon sitting alongside Hollow Knight, Breath of the Wild, Valkyria Chronicles 4, Mario Odyssey, etc.? @BornInNorway81 Not @ all lol they were all solid games. Nothing amazing or ground breaking. One strike was the best of the bunch it's really intense and hilarious with the right crowd. Robonauts was a fun co-op me and a buddy played straight through it, I wish it was longer. And astro bears is great in short bursts it's a nice little party game. I'm not saying any of these are must have game of the year experiences all I can say is look up reviews and gameplay and see if it's the kind of game you see yourself having fun with. I think for the price it wouldn't hurt. I thought they were giving us a dollar to play the game. I've gotten a couple of these dollar games and for the price they are not horrible but I have so many other games to play that it's hard for me to justify the time. That's actually the bigger issue. For a buck this is a solid runner and it's been on my wishlist. The art style looks crazy and seems funny in short bursts. Sponsored content trying to sell us cheap mobile games ported to console. It doesn't look like a $10 game.